STORServer Cloud Solutions and services provide secure, reliable and scalable data protection. These cloud solutions and services are fully compatible with STORServer’s award-winning, custom-built data protection appliances. 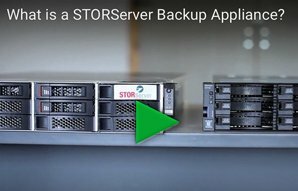 STORServer provides multiple architectural options around cloud offerings for disaster recovery, as well as direct to cloud services for automated backup, archive and disaster recovery. Datacenters and Managed Service Providers (MSPs) can leverage IBM’s FrontSafe Portal and offer Backup as a Service with any of our cloud options. This end user friendly portal delivers multi-tenancy, reporting, and billing automation. STORServer leverages decades of expertise, and over one thousand installations, to ensure that a customer’s environment performs as expected. This knowledge allows for STORServer to customize a turn-key solution that fits into the customer’s environment, taking into account factors such as new software implementations, available bandwidth (WAN) to successfully complete replication, mandated recovery point objectives (RPO) and recovery time objectives (RTO). We work with a customer’s total vision for data protection to provide a customized data protection environment. Available to existing IBM® Spectrum Protect™ (TSM), IBM® Spectrum Protect™ Plus, Commvault® Software (Commvault Data Platform) and STORServer installations, Disaster Recovery to a Private Cloud includes a STORServer Appliance for automated disaster recovery that is configured to your enterprise’s daily backup requirements. Customers who purchase this cloud offering typically want to move away from tape or currently don’t have a disaster recovery solution. Available to existing IBM® Spectrum Protect™ (TSM), IBM® Spectrum Protect™ Plus, Commvault® Software (Commvault Data Platform) and STORServer installations, Disaster Recovery to a Public Cloud includes a storage-based (cost per GB/TB) fee for copying and storing backup or archive data to a certified STORServer public service provider. Customers who purchase this cloud offering don’t require a dedicated Cloud Appliance. Customers may choose to host a virtual appliance in the public cloud to achieve a shorter recovery time objective (RTO). This option allows restores to take place in the public cloud for a fast RTO that doesn’t require bringing data across a WAN. Available to any facility and does not require an IBM, Commvault or STORServer installation. However, purchase and installation of software clients and database agents is required. Like Disaster Recovery to a Public Cloud, this service includes a storage-based (cost per GB/TB) fee for copying and storing backup or archive data to a certified STORServer public service provider. Customers who purchase this cloud offering typically want a completely “hands-off” solution for backup, archive and disaster recovery and are looking to minimize their on-premise footprint. STORServer backup, archive and disaster recovery public cloud options, fully meet strict security guidelines, without sacrificing performance or ease of use. Dedicated federal data centers are available that can be connected via a private network, separate from the larger public cloud. Meet security controls for FISMA as well as PCI-DSS Level 1, CSA, Safe Harbor, FIPS-140-2, and HIPAA compliance.